On the southern coastal area of Ito-city.A magnificent rias coast formed from the lava of the Amagi Volcano. The lava rushed to the ocean was eroded by the wave, and formed the cliff having the height of 10m. There are about 80 capes and 20 reefs in the coast.The coast line is a row of cliffs and a grand spectacle that extends from promontory to promontory. 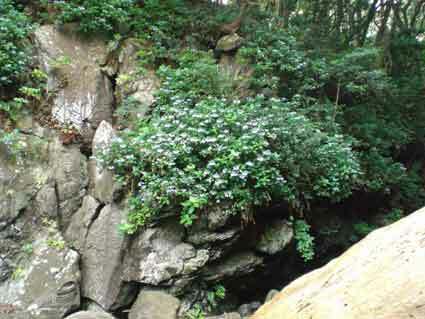 There is a hiking course running along the coast for 9km. 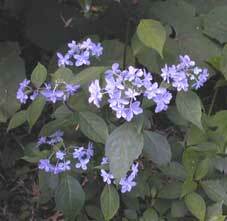 Ito is 120km south of Tokyo, 3 hours by car, and 1 hour and 50 minutes by JR express train.. 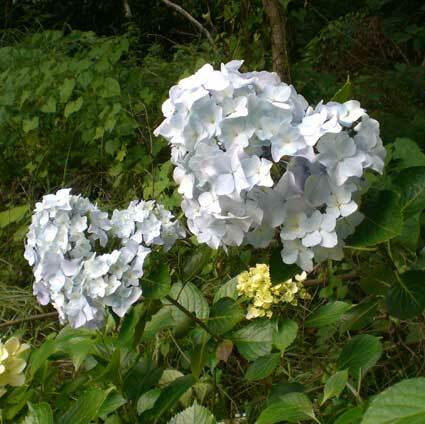 It is positioned between longitudes E139°2' and 9', and latitudes N34°50' and N35°2'. 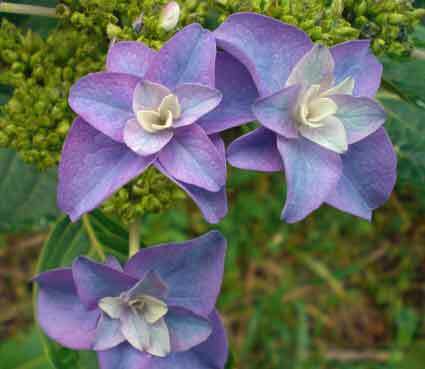 The temperature difference between seasons is small and easy to adjust to with an average temperature of 7.7℃ in winter （December to February） and 25.4℃ in summer （July to September）. 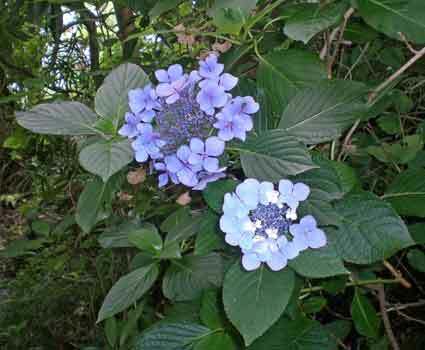 Noted for its beautiful coastal scenery and hotspring resorts, it is popular with Tokyoites on weekends and national holidays. 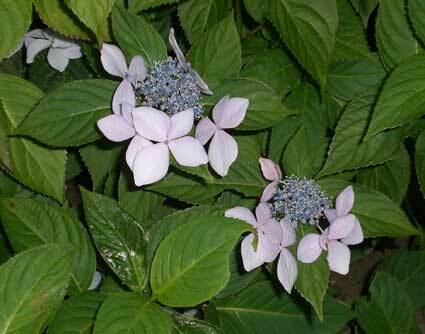 H.macrophylla of Jogasaki-coast has the most variegated flower in Izu-peninsula. 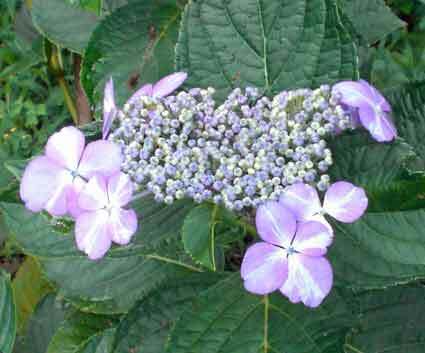 H.macrophylla and H.serrata "amagiamacha" are wild in Izu. 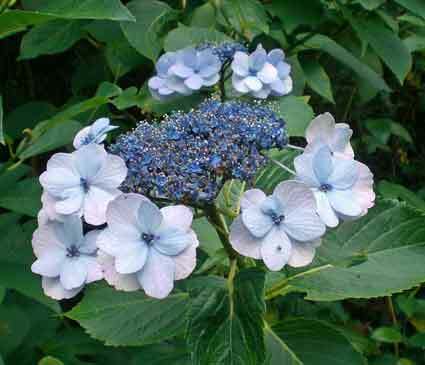 Additionally, there is the middle kind that is a natural hybridization of H.macrophylla and H.serrata. 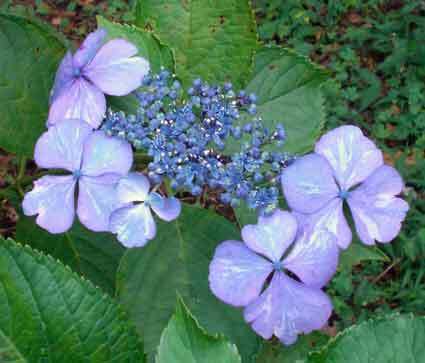 H.serrata discovered in various regions of Japan. 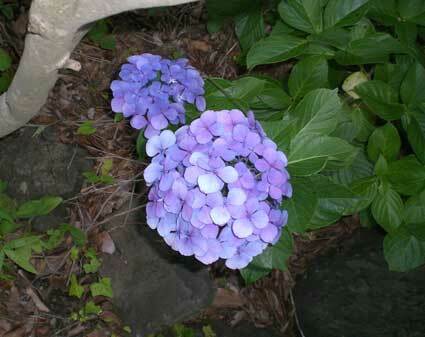 Only the hydrangeas planted in my garden. Discover by last year's investigation. 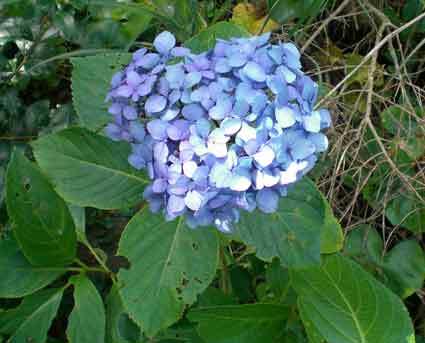 The young plants of hydrangeas in Jogasaki and South-izu are planted in my garden. 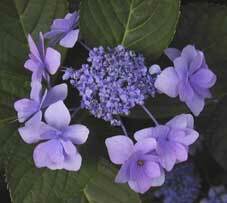 Hydrangeas for the garden and the pot are found from among these. The coastline of Yawatano is called Jogasaki-coast and a new town is called Izu-kogen. 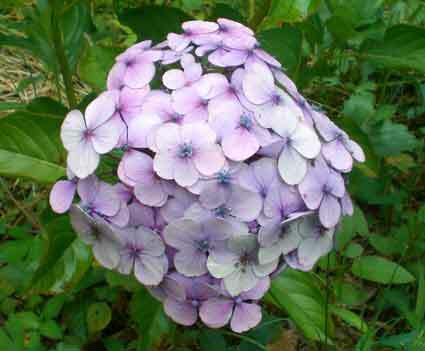 Hydrangea is called "ajisai" in Japanese.